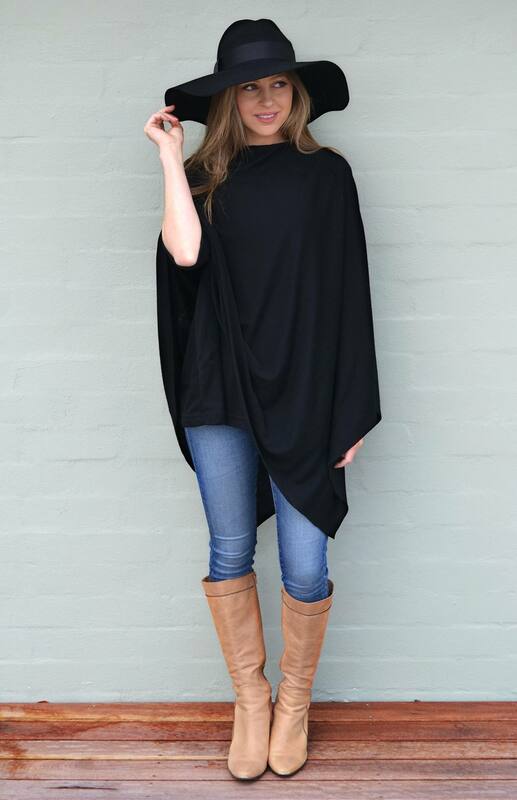 Our oversized poncho is a slightly more generous one size fits all poncho that is still perfectly suited to all body types. Beautifully lightweight, it is the perfect companion for your hand bag - stuff it in (crease proof) or roll it up to a tiny package. Pair it with your favourite jeans or patterned merino leggings. For a cooler evening, we opt for our super stylish Asha Dress or Boat Neck Maxi dress plus a Merino Scarf as the finishing touch. Machine washable on 30 degrees or less. Lay flat in shade to dry.